As Baby Boomers age and traditional institutional health care costs skyrocket, there is a trend toward providing care in lower cost settings. Payment policies and patient demand are forcing more care into the patient’s home. Much of the care that was historically provided in a residential post acute care setting is now being provided in a home setting. As a result, the home health care industry is an emerging industry in Wisconsin and nationwide. A home health agency is an organization that provides part-time and intermittent skilled nursing and other therapeutic and personal care services on a visiting basis to persons in their homes. Generally, patients must be homebound to qualify for home health services under Medicare or their insurance company. By providing a wide range of services, home health care helps individuals live independently, given the limits of their medical condition. Home health care is usually less expensive, more convenient, and just as effective as care that is provided in a more costly health care facility setting. 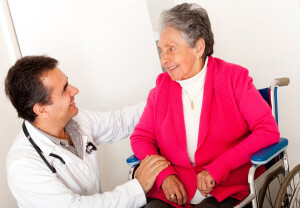 The level of home care service can be adjusted based on the patient’s needs. Patients that require more intensive and ongoing care may receive “private duty” nursing care. Patients that do not require skilled nursing may be provided lower level “personal care services” in their homes. In Wisconsin, skilled nursing services provided in a patient’s home requires a licensed home health agency. Less intensive personal care services may be performed by a home health agency or by a freestanding personal care provider that is approved by the state. Personal care services are more limited and involve assistance with bathing, hygiene, change of bedding, and assistance with general life tasks. Intermittent skilled nursing care provided by home health agencies include services that require a skilled nurse. Examples include intravenous and intramuscular injections, foley catheter insertions, pain management, medication management, nursing assessment and other services that require the services of a licensed nurse. One of the biggest barriers to starting a home health agency is the licensing/certification process. Over the years, our law firm has worked with a number of home health providers to create the institutional structure necessary to obtain state licensure and Medicare certification. Home health agencies must meet state licensing requirements and specific conditions of participation under Medicare. The certification process involves creation of appropriate policies and procedures reflecting operational requirements. Applicants must also go through a detailed survey by the Wisconsin Division of Quality Assurance and/or an independent survey by a private accreditation company. The Wisconsin Division of Quality Assurance also conducts ongoing unannounced surveys in home health agencies in Wisconsin to ensure that state licensure and federal Medicare certification requirements are met. If the home health agency is out of compliance with rules, standards, or regulations, the provider must correct the violation or face license and certification revocation and other penalties. In extreme cases, licensure and certification can be suspended or revoked. Home health care continues to be popular in the U.S., and the trend is likely to continue, given the increase in life expectancy and aging population. We fully expect this aspect of our health law practice to continue to expand as this trend toward home health care continues. You are currently browsing the Wisconsin Health Lawyer blog archives for January, 2014.